Check out our interview with The Big Brain Theory’s Tom Johnson! Tom Johnson is a self-proclaimed “old school geek”, but a geek non-the-less! We recently had an opportunity to speak with the Discovery Channel’s Big Brain Theory contestant, and online fan-favorite, about his life, geekery, and being a part of Discovery’s newest reality show (with a twist) hosted by Kal Penn. Here’s a little more about Tom from his Discovery Channel bio, but you should also check out his website, and continue the geeky conversation with him online via Twitter. By the way….have you heard Episode 62 yet? Because you should. 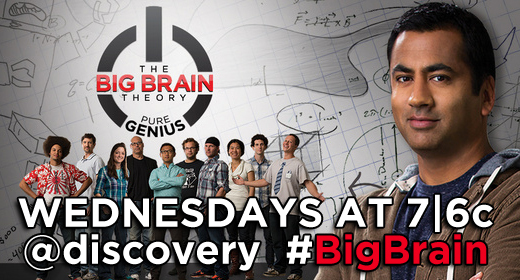 For more about The Big Brain Theory, check out the show site and check it out Wednesdays at 7EST|6CST on Discovery! Is there someone you’d like to hear us interview? Let us know over on Twitter: @JustUs_Geeks – LET US KNOW!